Do your girls love flowers? Mine too. 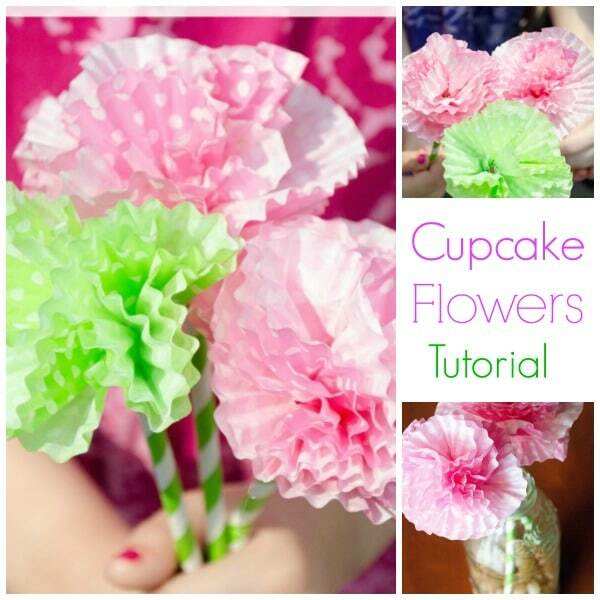 That’s why I thought these paper flowers from cupcake liners would be the perfect craft for them! Plus, you can find cupcake liners in just about any style and color! What’s the best thing about paper flowers for Spring? You can pick whatever color you want, and no watering necessary! As a busy mom, sometimes my plants can get a little — ehh — neglected. 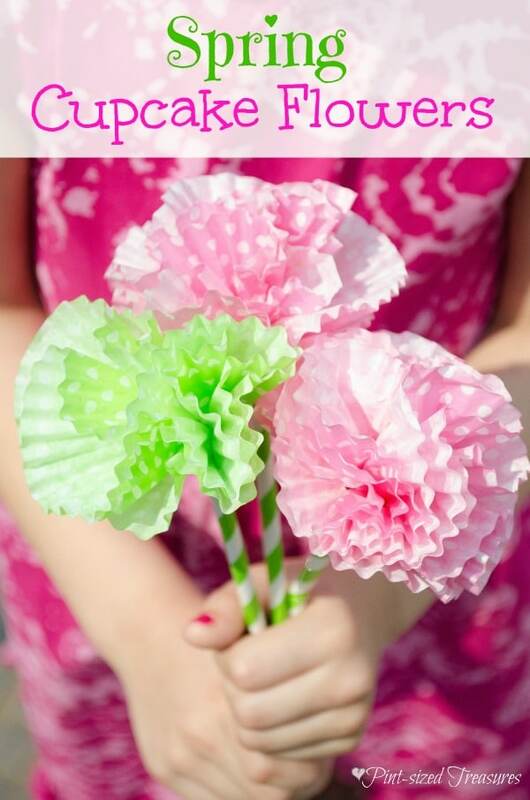 But, with paper flowers in my girls’ room, no need to remember to water them on a daily basis! 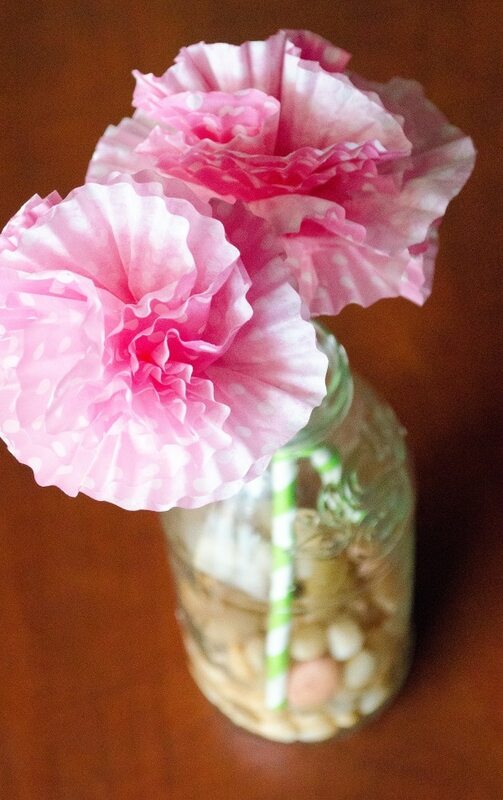 These are even cute to put in a vase on your front porch. White coffee filters look great for that one — simple, yet classy. That’s what makes this fun craft so versatile. It works for mom or daughter. You can work on a more grown-up version for your dining room table, or a fun, striped and polka dotted one for the munchkins. After my girls and I completed this super, simple craft, they started searching for a little desk to put in their room. They wanted to display their new flowers! Thus, the natural girl-decorating creativity started blooming. It was so cute to watch because the toddlers were napping — this meant the bedroom was off limits until 3 p.m. But, as soon as the clock struck 3, the girls raced in and started spiffing up their room..
About an hour later, I walked into their room and saw their cute arrangement with rocks, a glass bottle and even a toy laptop beside the vase. Where’d they get that idea from? Wink, wink! Would you like to add a little Spring sunshine to your daughter’s room? You can — simply and frugally! All the materials in this paper liner craft are super-cheap and easy to find. Use your own imagination and spice up the craft to make it work for you! You can use skewers instead of straws, or thin branches from your tree. 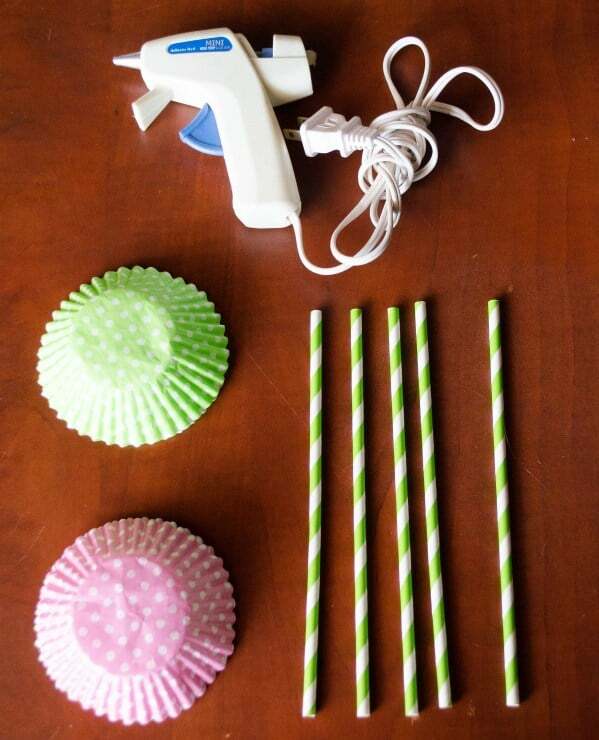 You can also substitute the cupcake wrappers with coffee filters. 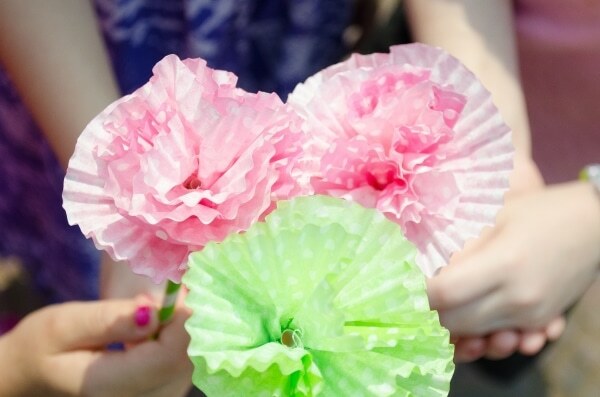 Here are some adorable Daffodils made from coffee filters! Ready to craft, create and decorate? Here’s the simple tutorial! First, poke a small hole in the middle of the cupcake wrapper. You can use a hole punch or wooden skewer. Slowly and gently widen the hole until it can fit over the paper straw. Now, place one cupcake wrapper over the straw, wrapper facing upward. Now, scrunch up the wrapper until it begins to resemble a carnation flower. Then, slide wrapper down about 3 cm, and place hot glue on the straw where you want the petal to attach. Make sure to leave a little room for two more wrappers at the top. Now, move the wrapper bake up and stick to the glue and carefully press until wrapper adheres to the straw. Next, repeat for the next two wrappers. Fluff paper flowers and scrunch some more until desired shape is reached. Ensure flowers are completely dry before letting kids play with them or putting them in a vase.